The intent of the SIEF Trustee, which was subject to a suitable funding agreement being executed, was to support a SIEF Special Research Program (SRP) in Synchrotron Science ($10M over 4 years). Funding for the SIEF Special Research Program: Synchrotron Science filled a gap in the National Innovation System by providing access for Australian Publicly Funded Research Agencies (PFRAs) to the Australian Synchrotron. The Program awarded funding to the Administering Organisation (CSIRO), which was responsible for implementing and managing the program. The SIEF funding formed part of a co-ordinated funding effort to provide funds to carry out research and to operate the Australian Synchrotron, which included Federal and Victorian Governments, the university sector, and New Zealand. Access to the Program was via submission of proposals directly to the Australian Synchrotron which ran three experimental cycles per year, and used merit-based selection criteria to identify the projects from across the National Innovation System that was granted access to the Synchrotron. 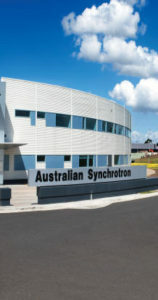 For further details on the Australian Synchrotron please visit their website. For further information on the SIEF SRP: Synchrotron Science, please contact Dr Gareth Moorhead (Gareth.moorhead@csiro.au).